North America is the fastest-growing energy storage market in the world, and Energy Storage North America (ESNA) provides an unprecedented opportunity to learn from and network with the most influential policy, technology, and market leaders in the industry. The sixth annual ESNA conference and expo will take place November 6 to 8, 2018 in Pasadena, California. Registration is available here. This year’s conference will highlight the growth and transformation taking place as storage is integrated into the heart of the global energy ecosystem: from grid-connected, front-of-the-meter applications to behind-the-meter use cases to vehicle electrification. Once a year, a vibrant marketplace takes shape for the storage sector, with thousands of developers, energy users, utilities and policymakers coming together to network and learn in one location over three days. This year, you can meet with the most progressive leaders in the industry and explore the role of energy storage at the intersection of the power and transportation industries. ESNA 2018 keynotes will identify, explore and analyze the regulations and policies that are opening doors in the North American and global markets, and evaluate the technology deployments that are leading the way to a cleaner, greener grid enabled by energy storage. According to Bloomberg New Energy Finance, the energy storage industry is set to double six times by 2030. 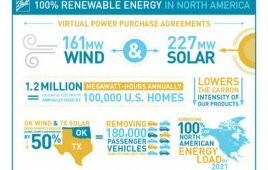 California is leading the way, but New York, Massachusetts, New Jersey, Arizona, Hawaii and others are all moving forward to expand markets for both behind-the-meter and front-of-meter storage applications as solar, natural gas and wind systems all look to pair up with storage. ESNA 2018 will feature three days of interactive, dynamic programming on energy storage policies, markets, trends and technologies. View the agenda here. Energy storage helps minimize greenhouse gas emissions, increase grid reliability, reduce costs of fleet electrification infrastructure, and enable greater penetration of renewables. Every aspect of ESNA 2018, from pre-conference workshops to our site tours and dedicated conference tracks, will reinforce the role of energy storage in these applications as part of the path to a clean energy future. As the market matures, a transformation is taking place at the intersection of the storage and transportation sectors. At ESNA 2018, the role of energy storage in mobility will be explored by event co-location partner CALSTART, the leading advanced transportation technologies consortium in the United States. Uber, Lyft, Ryder, BYD, UPS, and other leaders in transportation will explain their strategies for fleet electrification and the role of energy storage – from battery-electric for DC fast charging, to green hydrogen for hydrogen-powered fleets. Explore all aspects of this game-changing – and grid-changing – market opportunity for energy storage at the event. Energy storage industry growth is accelerating at a record pace, and ESNA 2018 is the event to learn from and network with the leaders in the industry. Register now to be there in Pasadena from November 6 to 8, and join the conversation.